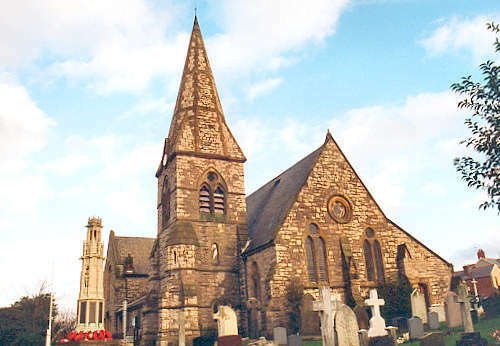 The parish of Prestatyn was created on the 1st August 1860, from the townships of Prestatyn and Nant, in the parish of Meliden, and part of the township of Gronant in the parish of Llanasa. Christ Church was consecrated on Wednesday, 27 May 1863. The church was enlarged in 1905 and 1926. For family history information about the church and parish, visit the GenUKI Prestatyn page.